Your kitchen is one place where natural and green products can really make a sustainable difference for your family’s health. Regional foods are the most sustainable and leave a small carbon footprint. 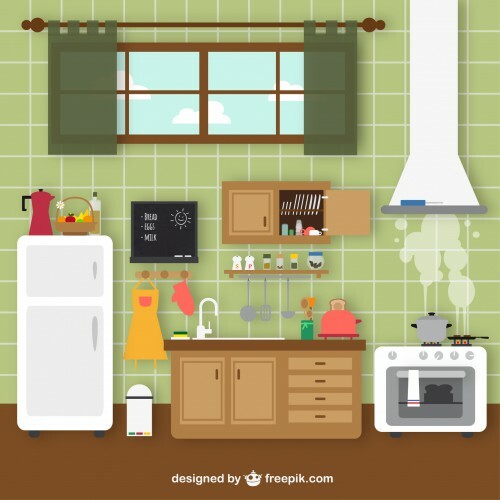 Who swims on the eco-conscious vibe in the kitchen, should be choosy even with kitchen supplies and household helpers. Green alternatives for sustainability in household, kitchen & Co. are made from natural or recycled materials. Whether cutting boards, salad cutlery and cooking spoon should be made of wood or bioplastics is the parting of the ways. Both types of materials have been shown evidently a low bioburden. In addition, they are sustainable, recyclable and/or biodegradable. However a cutting board made of wood, discolours faster. And aromatic foods you better cut on a board made of bioplastic. In short it can be said: Depending on the purpose you need different cutting boards eg to cut poultry and bread on separate cutting surfaces. 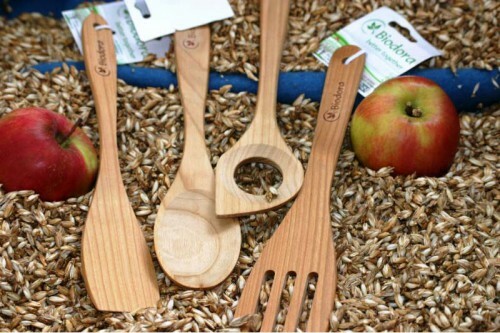 With sustainable kitchen tools it is similar: Spatula, boards and Co. from FSC certified wood and storage boxes made of biodegradable bioplastics make a hygienic and food-safe preparation possible. With wooden spoons and wooden cutting boards one makes sure that the product is manufactured regionally or in neighbouring countries and is made of hardwood, such as olive wood or as this cooking spoon from Austrian beech or cherry wood. For some, organic vegetables should be al dente, for others soft and delicate. But please, without plasticisers, which are included in many conventional cooking utensils. The plastic snare in every kitchen can be easily circumvented: with kitchen products made from bioplastics. This is not petroleum- based plastic. Rather bioplastics bases on renewable raw materials and is, for example, produced from waste products of corn or from plant starch. Even grass can be used for it. The paint pigments are from organic origin. A good and durable alternative for colander, baking pan, lemon squeezer and mixing bowl is the extensive range of sustainable kitchen utensils from Biodora. Choose here between bioplastic or PEFC certified wood. But the simply decorated plates, cups, cutting boards and salad servers should not end up in the dishwasher. According to the manufacturer it is better to clean the kitchen accessories with a soft cloth or sponge and lukewarm water. So the kitchen products retain their shape and durability. And you can save the electricity for the dishwasher. To prevent the food waste, you can already plan mindfully the demand for food, stockpiling and shopping. Helpful can be for one hand apps with that you can plan your shopping list in portions, or compose food depending on the occasion. On the other hand it may be that you prefer to keep your lunch for freeze or take with you to the university or to the office. Instead of grabbing plastic products made in China, Greenpicks recommends storage boxes made of bioplastic by ajaa and transport containers made of stainless steel. 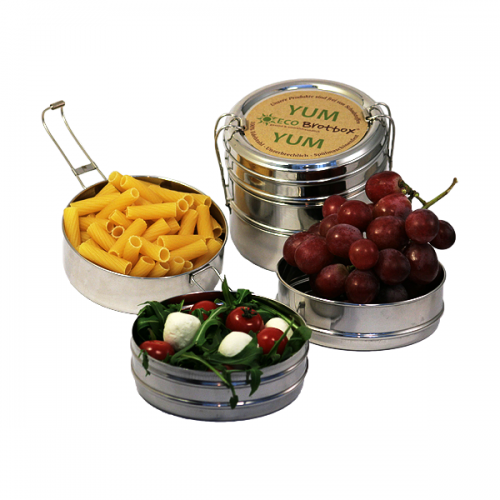 The lunch pail, in India also called tiffin box, made of stainless steel is particularly durable. And steel is a material that can be recycled without loss. Whether in everyday life or for a festive occasion: there’s nothing like a nicely decorated table; be it simple and minimalist or colourful and sumptuous. But in the contemporary version should be: The sustainable Wishing-Table. 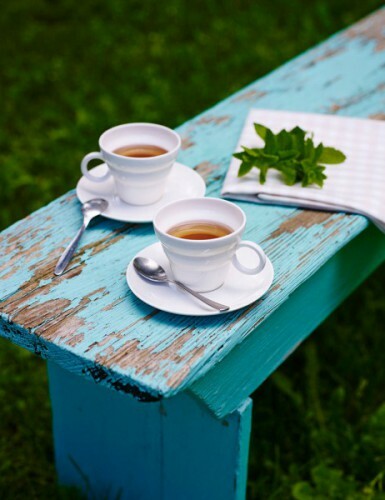 With plates and cups, the matter is simple: pottery and porcelain are classical and sustainable materials – and there are a wide range of products “Made in Germany” and made in the region – a sustainability criterion on Greenpicks. Often, sustainability is still supplemented by an energy-efficient, fair and social production of pollutant-tested materials. The same goes for glasses: First choice are glasses from production tested for harmful substances (free of lead and cadmium) or harmonizing glass products from unleaded glass of Nature’s Design. 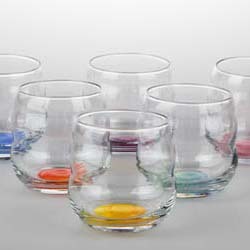 The particular shape and the Golden Ratio of drinking, wine and shot glasses harmonize therein liquids such as water, fruit juice, fruit brandies and organic wines. Or you bet on recycling: Good Glass – recycled glassware sells recycled glassware for the glass recycling company Vidrios San Miguel. The medium-sized company from Spain makes new drinking glasses, carafes and vases of consumer glass. 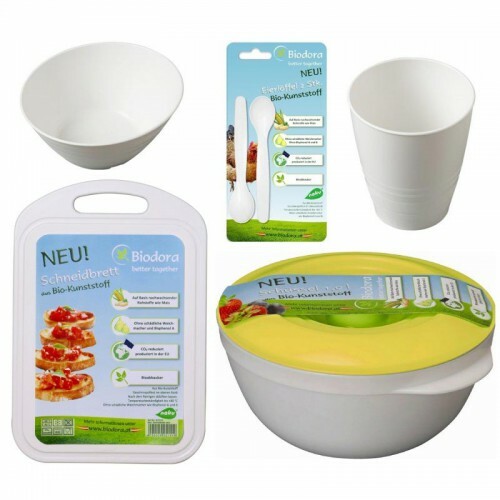 A good alternative to children’s cutlery and tableware made of plastic or disposable picnic party dishes are colourful cups and plates from completely recyclable bioplastic or bamboo. Who would like to have it sustainable and decorative in his kitchen up to the last detail: Even home textiles such as tablecloths, dish towels and cushions for the corner seat from GOTS certified materials such as organic cotton, hemp or linen are available at Greenpicks. The cover takes place on a placemat from original coffee bag, which is produced manually in an upcycling process in a small German manufactory. Instead oilcloth the pallet table is decorated with a table runner made of recycled banana fibres. The coloured home textiles are dyed with natural ink, prepared according to the Fair Trade principles. They are available from reputable suppliers of the world shop umbrella organisation, such as Sundara Paper Art. Reduce your Carbon Footprint with eco-friendly Kitchen Supplies and Sustainability in Household, Kitchen & Co.
By opting for ecologically produced kitchenware, sustainable cooking equipment or utensils of porcelain, glass and ceramics for a natural and organised kitchen your carbon footprint is significantly less on a knife edge. It also helps that the food does not come into contact during the preparation with pollutants such as plasticizers and / or bisphenol A and B. 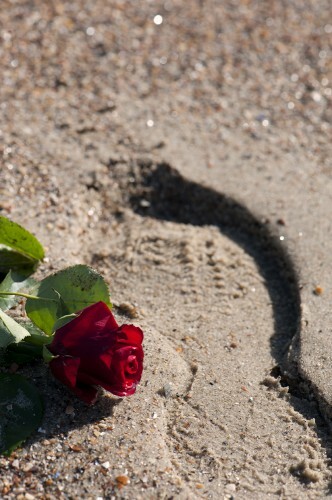 And that likewise should be worth one’s health and that of the family and the protection of the environment and nature. By the way, we have been using some of the proposed products for some time almost every day in the office kitchen and in the private household, such as the storage boxes made of bioplastic from ajaa, the Dopper water bottles and water preparation of tap water from the carafe Platinum Beauty. Even on business trips, the water bottles and lunch boxes have been proven highly effective. The lesson is clear: practical test passed! Previous PostStress-free ChristmasNext PostPersonal Climate Protection – Act now!